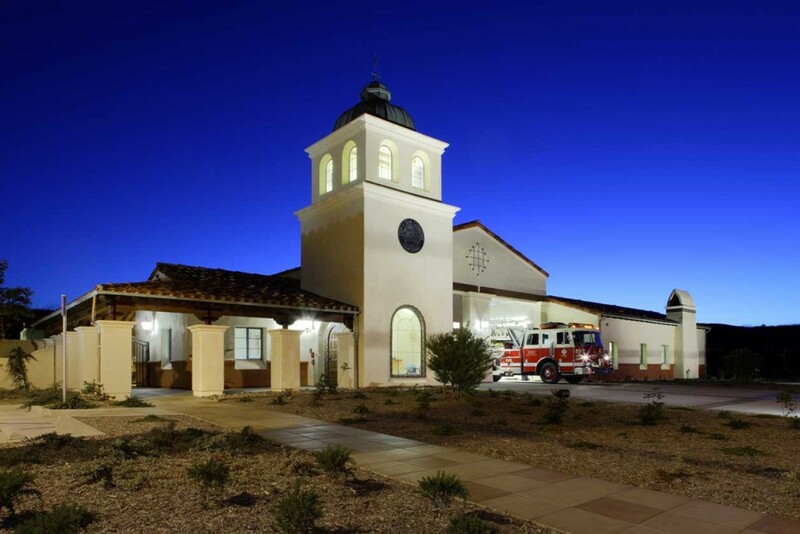 Orange County Fire Authority Fire Station #59 – RSSE Structural Engineers Inc.
Mission style architecture with a landmark “bell tower” was featured in this fire station to blend in with the surrounding community. 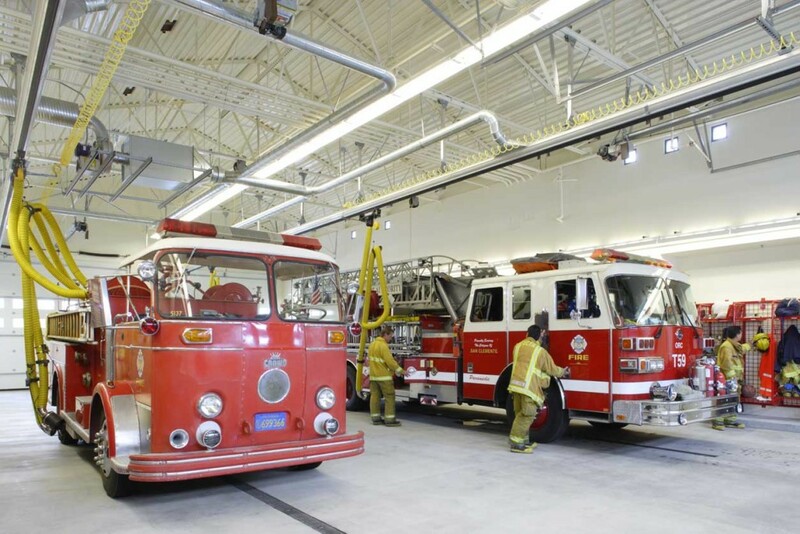 This 8500 square foot facility utilized wood framing with metal deck and steel trusses spanning across the apparatus bay. Site soil conditions necessitated the use of a mat foundation system.